repares tasty superfood meals for clients such as Annie Leibovitz and the Seinfelds. She also worked with Joy Bauer on her latest book, “Food Cures.” Skinny Chef’s trick is to swap empty-calorie ingredients with potent and flavorful superfoods that can pack two to three times as many nutrients as their counterparts. The result? A slimmer, sexier and more beautiful you. Superfoods are found in the fruit, vegetable, whole grain, fish, nut, and legume categories. Eating a balanced diet of the super nutritious foods can help protect your health. Further, beauty truly comes from within, which means that eating a healthy diet will bring out your luster and radiance without the expensive skin care creams and pricey injections. Following is Jennifer’s top picks for superfoods that nourish health and beauty. Florida Grapefruit and 100% juice are flavorful, low in calories, and fat free. They have vital nutrients like antioxidant vitamin C, which is essential for a strong immune systemto ward off seasonal sickness. Lycopene, found in pink and red grapefruit varieties, has been found to protect against certain forms of cancer and heart disease. Add grapefruit to your diet with other antioxidant-rich foods to give a helping hand to your body as it works to strengthen organs, like your heart and eyes against disease and protect skin cells against oxidative damage. Hydrate for beautiful skin with juicy grapefruit that is high in water and vital minerals like potassium and magnesium – key for maintaining water balance in the body. 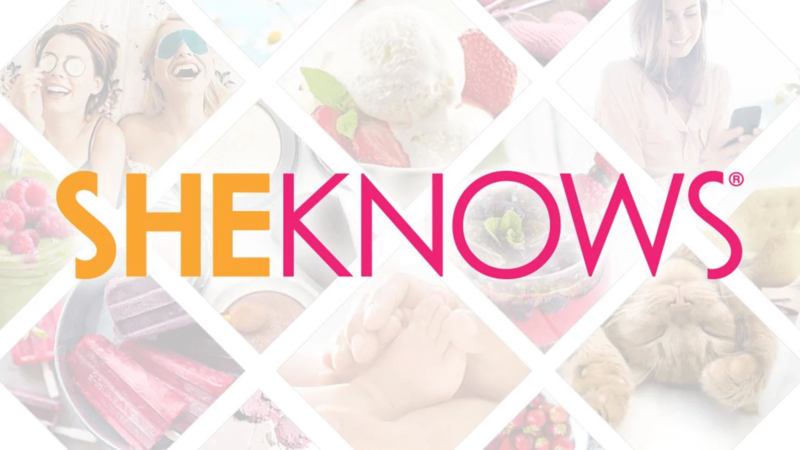 We all know that collagen is important for smooth elastic skin and vitamin C is instrumental in collagen production. Vitamin C is also a powerful antioxidant that helps to protect your skin from premature aging and wrinkles brought on by sun and wind. 100% grapefruit juice is one of the lowest calorie fruit juices on the market, just 90 calories for eight ounces. Replace your daily candy bar or snack cake with a tangy, sweet, fat-free snack and watch your waistline shrink. When the munchies strike, have a healthy afternoon that won’t leave you in a rut later from a sugar crash. 100% grapefruit juice is so easy to add to all your favorite meals. Use grapefruit in place of vinegar in marinades, dressings, glazes, and sauces. Dress up that turkey sandwich by mixing in grapefruit sections into honey mustard for a more flavorful spread. Toss in grapefruit sections or juice to make a healthy, fast sweet-and-sour stir-fry that the whole family will love. Yogurt and kefir (a probiotic yogurt drink) have helpful bacteria like acidophilus that help your body fight a host of infections like the common cold. 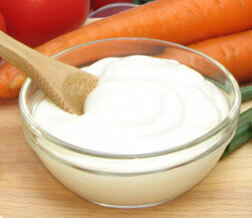 Promote healthy digestion by eating yogurt and kefir that balance stomach bacteria with live active cultures. Want a snack that is low-fat but can also have monthly benefits? Enjoying low-fat, low sodium foods that are high in calcium, like yogurt and kefir, have been shown to help stop or ease the symptoms of PMS. Just one cup a day gives you 40 to 50 percent of your calcium needs, which protects teeth and bones. Low-fat, low-sugar yogurt or kefir is a perfect creamy snack that satisfies and helps you to feel full without loading up on empty calories. Try topping it with some grapefruit slices and a pinch of ground cinnamon for an in-between-meals snack. Create luscious low-fat creamy sauces instead of reaching for the heavy cream or mayo. Make the moistest, low-cal muffins and power-charged breakfast smoothies with plain, low-fat yogurt or kefir. Flax, a small seed of an ancient plant that is about the size of a sesame seed. It contains high levels of the powerful antioxidant, omega-3, that helps to protect you against heart disease by lowering cholesterol and helping your body to fight free radical damage. Omega-3s can also help to improve mood! Omega-3s are necessary for normal brain function and new cell production. It has also been studied as a way to fight anxiety, alleviate symptoms of bi-polar disorder, and ease depression. Flax meal or ground flax seed has a wonderful nutty flavor and can be purchased from health food stores or organic markets. Mix it in raw with hot and cold breakfast cereals, in low-cal puddings, or add it to smoothes. Flax meal is extremely easy to cook with, can be added anywhere you would normally use breadcrumbs – for example in meatballs, meatloaf, or add to breadcrumb coatings for chicken fingers and fresh fish. Mix it with whole grain flour when you cook to add extra crunch and a burst of nutrition. Remember to store your flax in the fridge to keep the seeds from going rancid. Think of spinach as the green goddess of the veggie world because she outshines other vegetables with impressive nutritional stats. Just one cup delivers a double dose of daily recommended vitamins like Vitamin K and A while providing the high levels of other nutrients like manganese, folate, iron, calcium, and potassium. Eating spinach means good things for your health all around, everything from protecting your eye sight, to calming blood pressure, and warding off cancer. 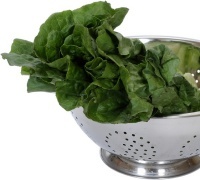 Spinach is high in Vitamin A and potassium. Together, they can contribute to healthy eyes by protecting cells in the retina from oxidative damage and regulating blood pressure. Spinach isn’t just for salads. Prewashed, fresh spinach is a cinch to add to hundreds of dishes since it cooks so quickly. Add it at the last minute to soups, stews, taco meat, and omelets. Toss a handful of raw chopped spinach to any baked dish from tuna casserole and enchiladas, to lasagnas and chicken broccoli casserole. Whole grains are extremely high in nutrients, including several minerals, soluble and insoluble fiber, which can help with maintaining or losing weight, protect against colon cancer, and reduce risk of tooth and gum decay. While there are many benefits, including reducing the risk of asthma, high blood pressure, and colorectal cancer, and calming IBS. Adding fiber to your diet does not only help you feel full with a lot less calories and no fat, but it can also relieve bloating if you suffer from IBS or irritable bowel syndrome. Adding the right portion of soluble fiber, abundant in some whole grains like oats, barley, and flax seed, to your diet can alleviate bloating and irregularity. Beyond the bloat, eating fiber can help you lose weight by filling your stomach with lower calorie, lower fat foods. Cooking with whole grains starts at the supermarket. You can find whole grain versions of your favorite cooking staples from flour and pasta, to bread crumbs and pizza dough. Look for the word “whole” in the ingredient list to make sure that you are getting 100% whole grains instead of whole grain flour that is mixed with white or processed ingredients. Nutritional information regarding IBS is from Joy Bauer’s Food Cures (Rodale, 2007). Other research sources include the American Chemical Society, Chemical Engineering News, Science Daily and Wikipedia.